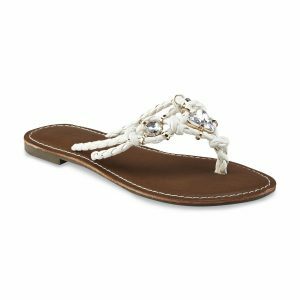 Thong sandals embedded with stones are eye-catching and comfortable to wear with most casual outfits. If you have no shoes right now to team with your short skirts and shorts, go for these pretty sandals. The thermoplastic material used for these flats ensure good grip while you walk along with high durability. 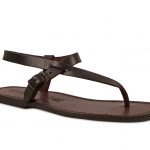 White thongs and black soles offer a contrasting look to the sandals. Complete your charming look with this pair of flats. 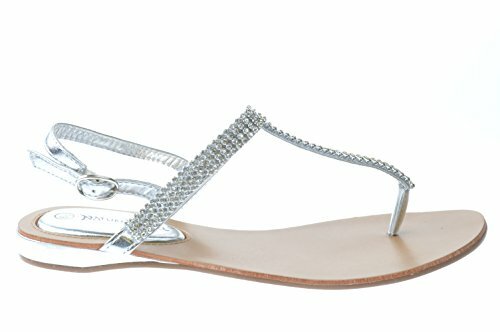 The beautiful stones studded on the front strap of the sandals changes the look of the otherwise ordinary sandals. 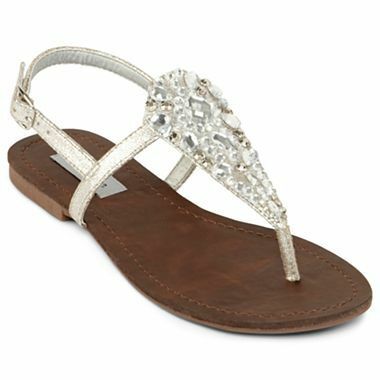 You can wear something glittery with these flats. At the end of the year, your best buy could be this pair of thong sandals that comes embellished with gleaming stones. Jazz up your jeans and T-shirt look with a brand new pair of braided thong sandals.